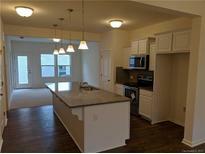 Find Troutman, NC Condos for sale. View Photos, Maps and MLS Data Now! The price will increase $5,000 or more once these two units are under contract. Hurry and save today. MLS#3496145. Ronald Scott Properties Inc. The price will increase $5,000 or more once these two units are under contract. Hurry and save today. MLS#3493548. Ronald Scott Properties Inc. These statistics are updated daily from the Carolina Multiple Listing Services, Inc. For further analysis or to obtain statistics not shown below please call Highgarden Real Estate at 704-705-8689 and speak with one of our real estate consultants.